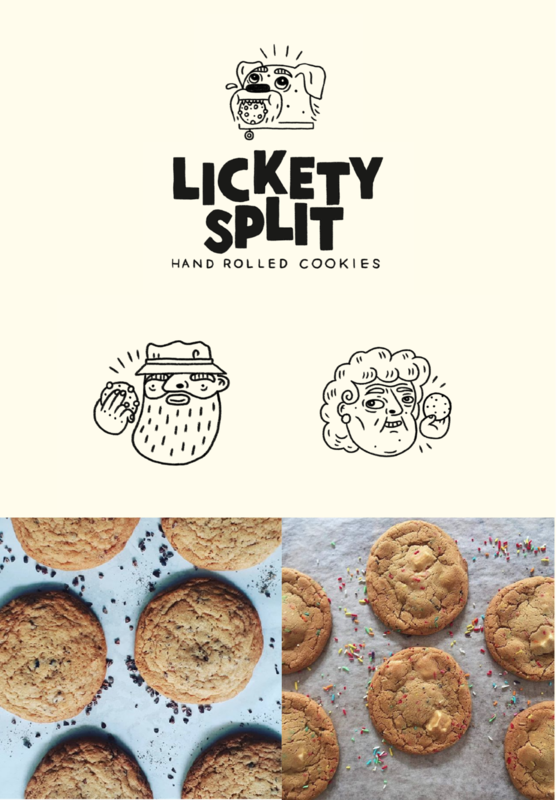 Hamilton cookie enthusiast and wonderful friend Alice Denne has started her creating her own hand-rolled-cookies. We wanted to create a unique brand to accompany these unique cookies and we talked a lot about how her grandparents had a large influence on the homely-style of the cookies, but wanting to make it her own with the interesting flavours. With that in mind we came up with a few little characters and some custom type. Follow here HERE.